During law school, I contemplated going on to do a Master’s Degree in Criminology at Oxford. I even pitched the head of the department with a thesis proposal: Police Judo. My thesis would be about how judo is effective in reducing violence in police encounters. The Criminology degree was a road not taken, but I remained convinced that ‘ju-do’ (‘the gentle way’) should play an important role in police use-of-force. Turns out, some members of the Vancouver Police Department had exactly the same idea 20-some years ago. The evolution of their work and thinking has created a judo-based program that incorporates elements of other martial arts, and is designed specifically as a practical toolkit for police use-of-force encounters. And how is this a civil liberties issue? Simply put, police accountability for their use of force is central to the mission of civil liberties. Of course we want oversight and review of reports of excessive use of force by police. But even more critically, we want police to use appropriate force in the first place. The BCCLA is deeply interested in how police are trained in use-of-force and prepared to advocate for any program that we think ‘gets it right’. 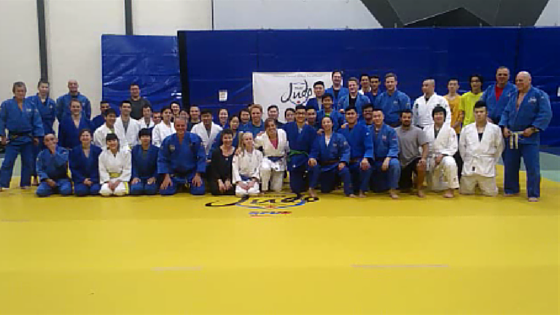 I’ve had a look at one of the three Police Judo clubs in the Lower Mainland. And I think they really get it right. I went to observe an introductory class held at SFU. Some of the differences between traditional judo and Police Judo were immediately evident, starting from no bowing and no Japanese words. But one of the key differences is that Police Judo is non-competitive. Anyone who registers can attend (you don’t have to be a member of the police) and it’s a great workout and way to learn self-defence. But Police Judo is not a sport you can compete in. You can achieve higher ranks based on your knowledge and skill, but there are no tournaments. The focus is on learning the techniques and taking care of the person you are working with, not beating them. Police Judo introductory class held at SFU. BCCLA Policy Director Micheal Vonn in front row in black. After a big group warm-up and series of exercises, the class I attended broke into two groups. One group did more traditional judo, learning how to do breakfalls and throws. The other group did more policing-specific exercises and concentrated on control skills, like joint manipulation techniques, to safely take someone to the ground during an altercation. After, the groups came together for a final session, which involved a policing scenario, so the participants could try using the techniques in a closer-to-real-life context. While ending a fight/attack is undoubtedly something that police are called upon to do, the essence of effective and ethical use of force is to avoid the fight in the first place. The Police Judo website notes that the process of trying to bring a person into custody is generally the time of highest risk for violence in police encounters. So the instructors were constantly pointing out how, for example, holding a person’s arm one way gives them enough room to swing around with a kick, but changing the hold can prevent that happening. Everyone’s safer when the fight is avoided. 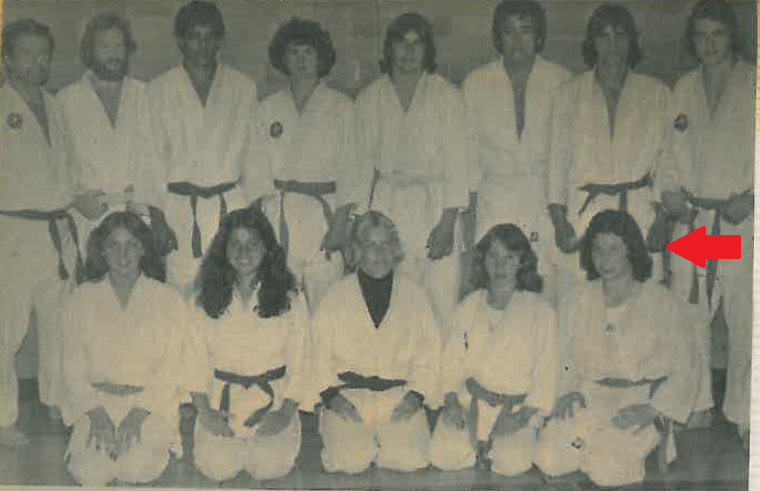 Policy Director, Micheal Vonn, with her judo club, back in the feathered bangs era. But don’t police learn these critically important techniques in basic policing training? Well, some, but not all, and maybe not effectively. It’s one thing to be shown some techniques and another to have them so engrained that you can and will actually use them. Police Judo recognizes that this learning needs to be on-going. Regular practice is what’s required to have the techniques effectively available in real-life, chaotic, high-stress encounters. Reacting appropriately in an instant is almost impossible if you have to think through the steps, as opposed to responding in a way that is practically automatic because the movement pattern is so well established. Practice doesn’t make perfect, necessarily. But practice makes possible what otherwise gets overridden by stress and fear responses. 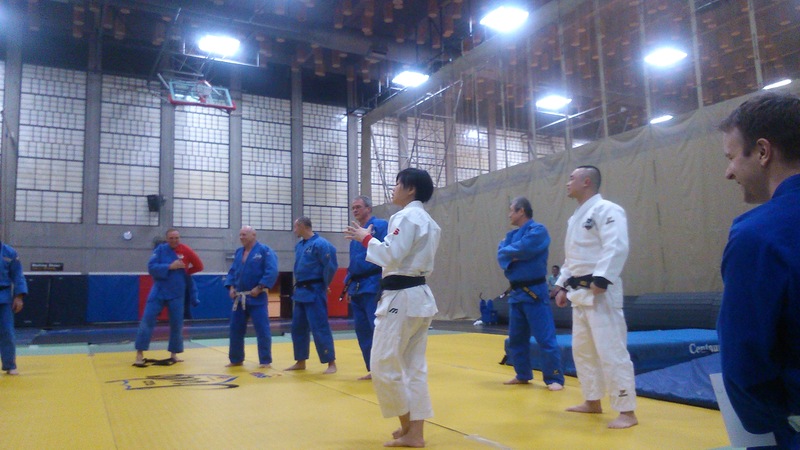 The establishment of Police Judo clubs allows for this practice to be developed early, by recruits and applicants, and refined over years of police service. One retired police officer was telling me that there is now so much gear/weapons that go on the standard officer tool belt that his daughter, who is now in the police force, hasn’t got a big enough waist to hold up the belt. As the National Use of Force Framework makes clear, there are times when use of a weapon is the appropriate police response. Police Judo is not about those times. It is about the infinitely more common, daily police encounters, often involving extremely vulnerable individuals, for which weapons are entirely the wrong answer and a vastly different toolkit is needed. We congratulate the Law Enforcement Judo Association in making this innovative and important training available and we hope to see the Police Judo approach expand and become an acknowledged best practice in Canadian policing.